From 1 December 2018, we are introducing a new organisational structure for the Projects and Maintenance & Technical Services teams within the Estates Department. These changes will facilitate the delivery of improvements around governance, strategy, asset management, statutory compliance, financial and project management as well as the long term maintenance of the estate. The Maintenance & Technical Services function will be responsible for the delivery of a coherent maintenance plan for the estate including: long term maintenance of the infrastructure, investment planning, business continuity, compliance assurance, minor works projects, planned and reactive maintenance. The Projects team will focus on the delivery of major capital projects and high value minor works. Systems and processes will be refined with new arrangements introduced for the approval, planning, monitoring, management and reporting of all projects. The new structures of these teams and of the overall Estates Department can be viewed on our web page. You can also view and download the Estates booklet ‘Who we are, what we do and where we are going’ from our web pages. This booklet includes an overview of our strategic vision, core values, key objectives and team structure. These changes demonstrate our commitment to continuously improve our services and meet the needs of our customers. The feedback from our inaugural Customer Feedback Survey, conducted earlier this year, highlighted that 83% of our customers feel Estates Department staff act professionally, however there were some areas for improvement, notably around transparency in our operations and how we communicate to our customers. We are addressing these issues and launched the Estates Customer Services Centre in June this year. The Centre acts as the key contact point for all enquiries regarding services provided by the Estates Department. The Customer Services Advisers take complete ownership of all enquiries, ensuring customers are kept fully informed on the progress of their enquiry. We have introduced a Customer Services Policy and a robust complaints procedure for customers to use when they are not totally happy with the service they have received. Our Customer Services Policy explains our guiding principles and can be found on our web pages here: Customer Services Policy. The Customer Services team can be contacted by email: estatescustomerservices@kent.ac.uk or by telephone: extension 16666 (or if dialling externally: 01227 816 666). This entry was posted in Campus online on 30 November 2018 by Sophia Cheraitia. 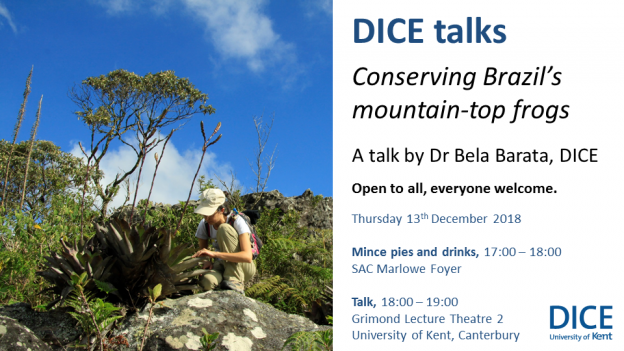 The next monthly DICE talk will be held on 13th December and given by Dr Bela Barata, DICE, discussing ‘Conserving Brazil’s mountain-top frogs’. Bela will talk about her fieldwork experiences and her recently completed PhD research, which looked at the impacts of climate change on some of Brazil’s most endangered amphibian species. December’s DICE event begins with mince pies and drinks from 17.00-18.00 in SAC Marlowe Foyer. The talk will follow in Grimond Lecture Theatre 2, from 18.00-19.00 and is open to everyone in the community. The series is also available on YouTube. This entry was posted in Campus online, People, Student Guide on 30 November 2018 by Sophia Cheraitia. 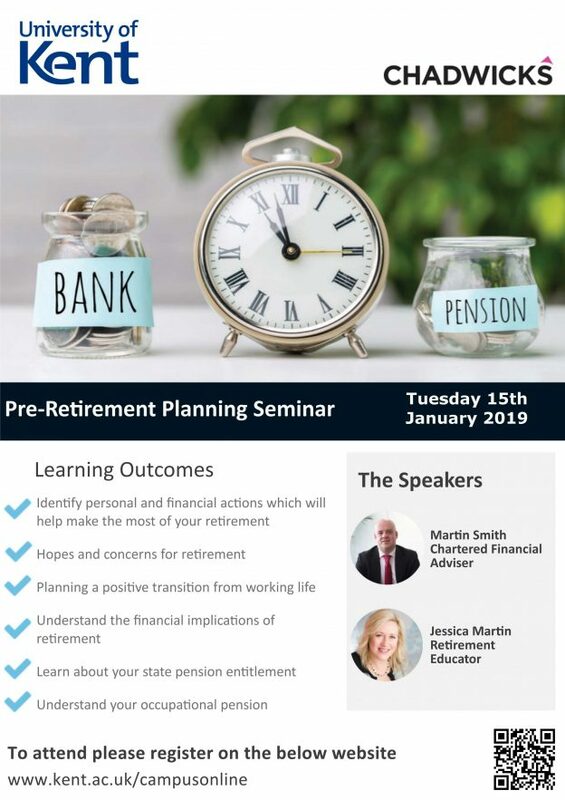 In conjunction with Planned Future, we are running two Pre-Retirement seminars this academic year. The whole day seminar aims to give participants knowledgeable advice in regards to all aspects of planning for retirement, looking at areas such as finance, health and lifestyle. All staff, all ages welcome – it’s about planning ahead. Please book through Staff Connect. This entry was posted in Campus online on 29 November 2018 by Sophia Cheraitia. 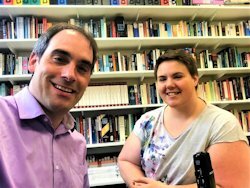 In this week’s interview, Chris interviews Kyla Greenhorn, who is studying for a PhD in Religious Studies at the University of Kent. Kyla was born in Kansas and she discusses the reasons why so many American students choose to study in the UK. She decided from a young age that she wanted to move to Europe, and now sees the US as a foreign country. She talks about how her family is predominantly Republican and pro-Trump, and how this doesn’t sit well with her being a member of the LGBT community. Kyla comes from an evangelical background and her sexuality affected her entire family dynamics, especially after she came out as bisexual to her mother. She discusses with Chris how the experience changed her, and how she can now make a stand for causes she believes in. Musically, Kyla reminisces about the boy bands she grew up listening to and how her musical tastes these days range from heavy metal to church music and how music is the most consistent thing in her life. She also explains why Cat on a Hot Tin Roof is her favourite movie and we learn what happened when she once performed a scene from A Streetcar Named Desire. We learn why at school Kyla tended to avoid Religious Studies, and how and why she subsequently found an unexpected way into the subject. The conversation then moves to her experience of dealing with bigotry when it comes to gender and sexuality and to societal prejudices towards homosexuality. To find out more about opportunities for further study in Religious Studies and other subjects, visit www.kent.ac.uk/postgraduate/. The Raymond and Blanche Lawson Charitable Trust generously agreed to grant the Medway Student Support Fund a sum of £5,000 at their board meeting on 8 November 2018. 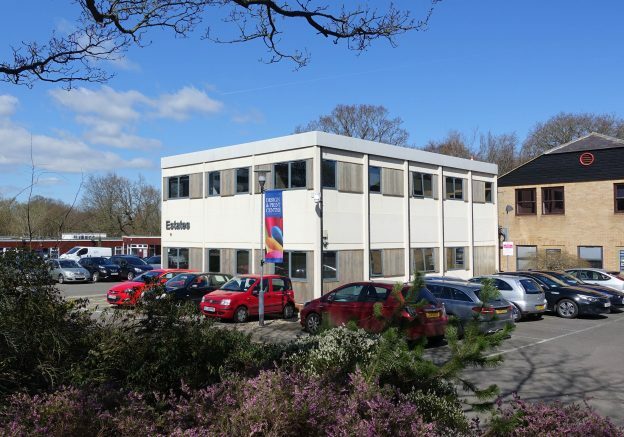 The Trust was created in 1980 by Tonbridge-based property businessman, Raymond Lawson, and his wife Blanche, and supports a wide range of charitable causes from hospices to children’s charities in Kent and Sussex. The grant money will provide bursaries to support those students most in need of financial assistance at the three universities based at the Medway Campus. This entry was posted in Campus online, Medway Student on 29 November 2018 by Sophia Cheraitia. A new book by Kent Law School Reader, Dr Thanos Zartaloudis, delves deep into history and culture to offer a rich, interdisciplinary analysis of “nomos”, an archaic Greek word that, today, is often reduced to “law”. In The Birth of Nomos (Edinburgh University Press), Dr Zartaloudis comprehensively analyses ancient Greek sources along with material drawn from legal history, philosophy, philology, linguistics, ancient history, poetry, archaeology, ancient musicology and anthropology to explore how the word nomos (and related words) has been used across centuries of use. He assembles a genealogical history of the word to reveal a richness that is not reflected in its classical and modern usage as simply “law” or “law-making”. The book draws on works by ancient Greek philosophers, poets and tragedians including Homer, Hesiod, Alcman, Pindar, Archilochos, Theognis, Heraclitus, Aeschylus, Sophocles, Euripides and Plato. It includes extracts from ancient primary sources, in both the original and English translation, to analyse how nomos has been used in the literary evidence and in context. 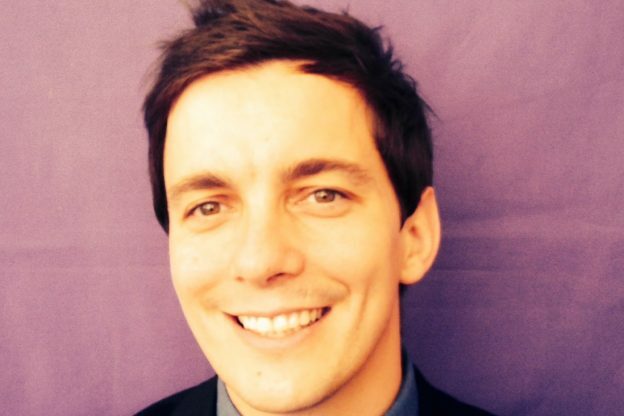 Dr Zartaloudis is a Reader in Legal Theory and History at Kent Law School. 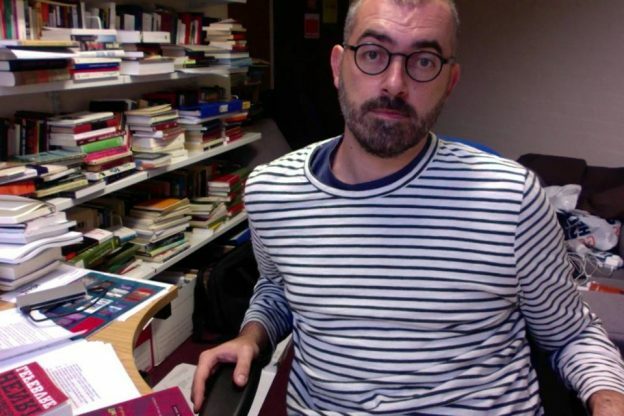 He is Co-Director of Kent’s Centre for Interdisciplinary Spatial Studies (KISS) and Co-Director of the Centre for Research in Political Theology (Birkbeck Law School/Kent Law School). This entry was posted in Campus online, Student Guide on 29 November 2018 by Sophia Cheraitia. 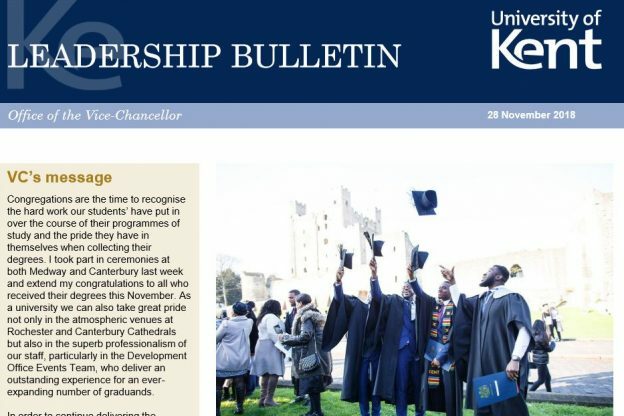 The latest issue (28 November 2018) includes a congratulations from our Vice-Chancellor and President, Professor Karen Cox, to our most recent graduates and a thank you to the University Council. There is also an update on Executive Group meetings, including a discussion of the planning round with Faculty Deans on 20 November and an EG Awayday focusing on organisational design on 26 November. 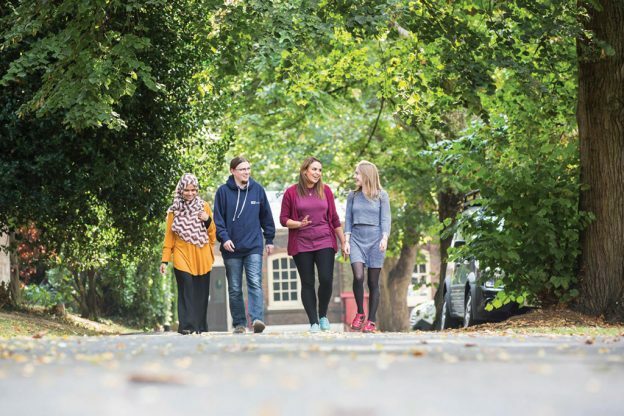 There are also updates on the government’s Settled Status scheme, which EU citizens working at Kent are eligible to take part in, and the launch of a new BSc in Human Geography. The Bulletin is distributed fortnightly to all members of the Senior Leadership Forum to cascade to staff in schools and professional service departments. If you haven’t received your copy yet, you can read the bulletin online. This entry was posted in Campus online on 29 November 2018 by Wendy Raeside. There’s another great reason for signing-up on our new Staff Wellbeing Zone this month! Occupational Health are running a prize draw running throughout November. The main prize is two coaching sessions with an external coach to explore any element of wellbeing you wish: weight loss, smoking cessation, mindfulness. There are also three runner-up prizes of massages at Kent Sport. The draw will be carried out by the Wellbeing Zone hosting company, Revitalised, so all employee details will continue to remain totally confidential. Once you have been notified by them of your success, you need to contact Brenda Brunsdon, Occupational Health & Wellbeing Team Manager, and she will give you the details of how to claim your prize. A 12 sector wellbeing assessment and advice on how to improve in all these 12 areas. You can make changes and goals and re-assess to follow your progress. The Zone includes exercise programmes, weight loss advice, recipes and a calorie counter. There are also articles, videos and TED talks on all aspects of wellbeing including mental health, mindfulness and stress reduction. Launched on 1 November, the Zone has been set up and will be maintained by external specialists, Revitalised, whose other clients include Royal Mail, the MoD and Virgincare. All the information you enter into the Wellbeing Zone is totally confidential and not accessible to any University department or individual. 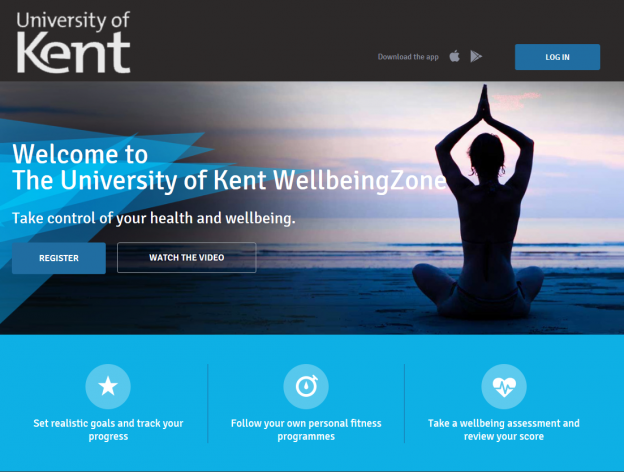 Take a look at the new Wellbeing Zone website now and register using the code KENT 1, or log-in (top right-hand button) using your Kent sign-in details. This entry was posted in Campus online on 28 November 2018 by Wendy Raeside. 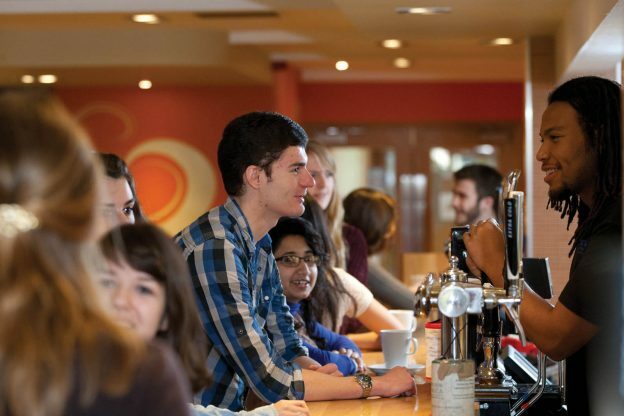 The University of Kent is committed to safeguarding the health, safety and welfare of its students, and accepts its responsibility by raising awareness of the risks of alcohol and drug misuse. We respect the privacy of students, but will be concerned if a student’s behaviour impairs his/her conduct, safety or academic performance and/or adversely affects other students, staff, campus life or the wider community. This entry was posted in Medway Student, Student Guide on 28 November 2018 by Allie Burnett.